The development and inception of an entirely new institutional wholesale spot FX trading platform is not a task to be taken lightly, and the journey which ParFX underwent prior to its launch earlier this year serves to underline this. Having begun its development phase under the name TraFXpure, its developer, Compagnie Financiere Tradition designated it ParFX in February as it approached its launch, following the gaining of support by a final two banks marking its readiness to market. Today, ParFX underwent a further evolution, as Tradition selected the Equinix London Data Center as its hosting facility. 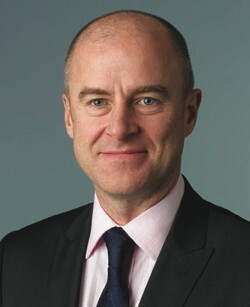 In choosing Equinix, ParFX considers that this move positions its platform directly alongside many other leading trading venues and connects with hundreds of FX institutional traders, trading platforms and ECNs globally, in congruence with many institutional firms which this year have concentrated on connectivity and the provision of maximum connectivity to participants regardless of location. In the case of ParFX’s selection of Equinix, the company’s global IBX footprint consists of an ecosystem of nearly 800 global financial services institutions which will be able to connect to ParFX. Roger Rutherford, Chief Operating Officer, ParFX today made a corporate statement on the selection: “The ParFX founder banks came to us because they believed there was a need for change in the FX market ecology and for the creation of a truly level playing field. “That need is at the heart of the ParFX philosophy. Equinix’s London Slough data center campus offers world-class support with global reach, congregating players and service providers across FX, providing the opportunity to adapt and scale our business according to market need” concluded Mr. Rutherford. In May this year, ParFX placed an emphasis on execution speed, putting the platform through a process in order to prove the value of randomization design. The idea behind this was to apply a randomized pause to all orders elements; amendments, cancellations and confirmations. This process is designed to encourage a level playing field for participants wherever they are located and whatever their technological or financial strength. Whilst this may discourage some of the high-speed algorithmic participants, it is in keeping with ideologies shared by companies such as EBS and regulatory authorities alike. In the selection of Equinix, it further demonstrates that ParFX is seeking international participants, trading on equal parameters as it eschewed Volta’s London Data Center, which is located in the city of London and scheduled to open later this year, within very close proximity to the world’s largest financial capital, instead opting for Equinix’s location 30 km away, therefore conceding the potential latency advantage which Volta’s center could provide when connecting to London venues, in favor of a vast worldwide network of participants.